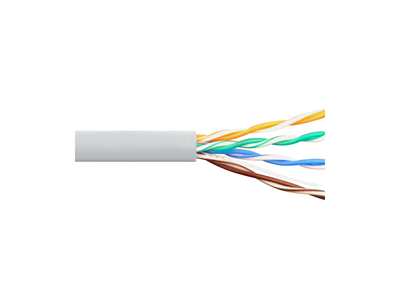 ICC CAT 5e 350 MHz UTP solid cables are manufactured per TIA 568-C.2 industry performance standards and are UL and cUL listed and verified. Available in spools of 1000 ft CMR rated in an EZ pull dispensing carton, and constructed with sequential footage markings on the outer jacket for convenient usage tracking. These cables offer a competitive cable solution designed to provide the performance necessary for today's growing voice, data, video, and security applications in commercial and residential installations. They complete the site cabling system with the value and reliability of ICC.